I’m at my caravan this easter. The weather is fabulous and water temperature rising. Spending some time at the vice in front of the tv. Waiting for my family to arrive. Some experimental mysis (and a shrimp). The last week has been a good one. I got some fishing done. I caught these two, not the largest, but fun fishing anyway. Sorry for the silence yet again. 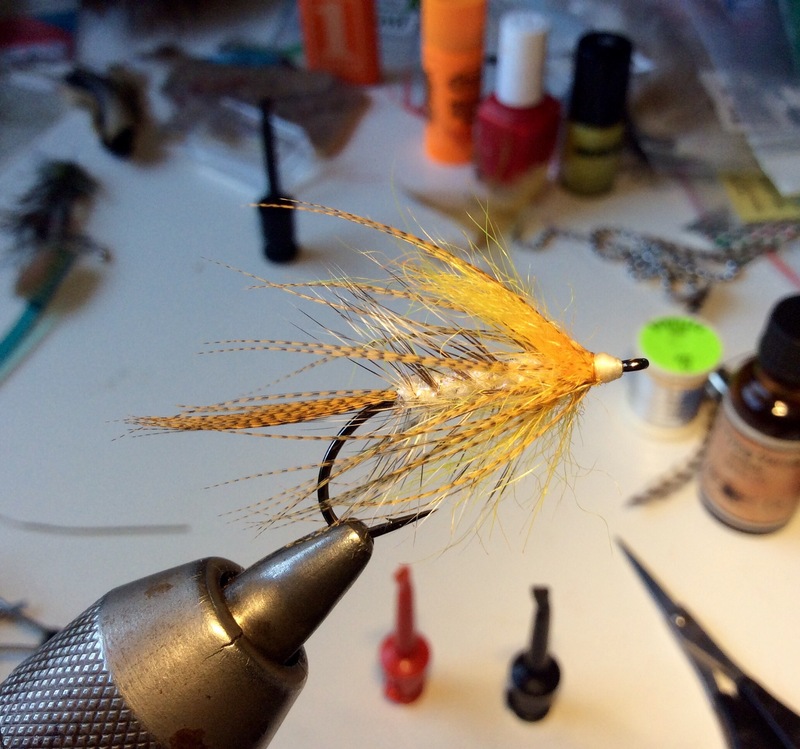 I usually start tying again late spring every season. I tie these as a gift. 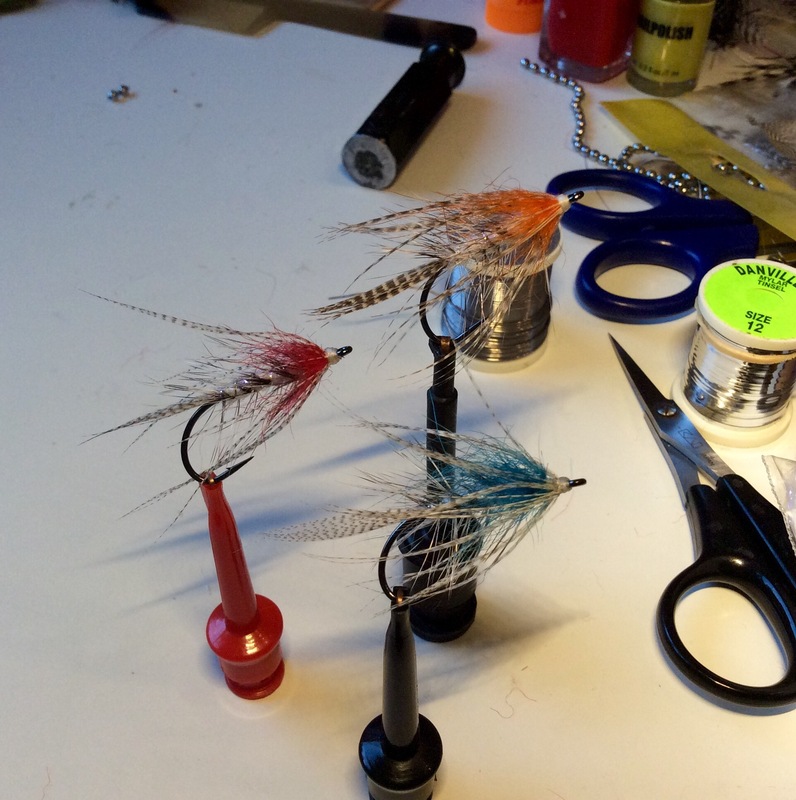 They are classic flies for my area. Still using the phone, but I have plans. Still here, still tying some flies now and then. Not easy finding time for it anymore. 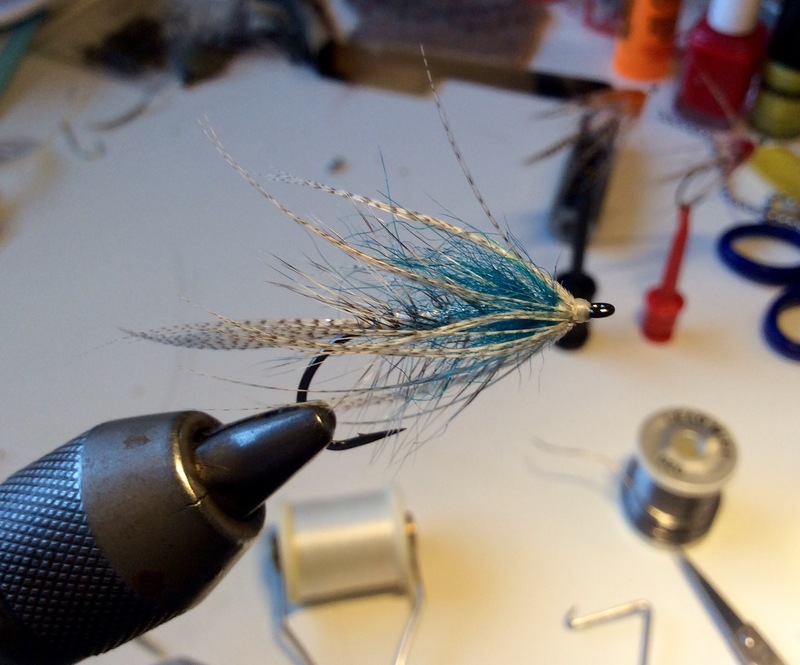 This fly is based on the famous Teppesilda. The original is a herring imitation. The pattern uses craft fur. I will soon be back with more on this. This is Kelly. 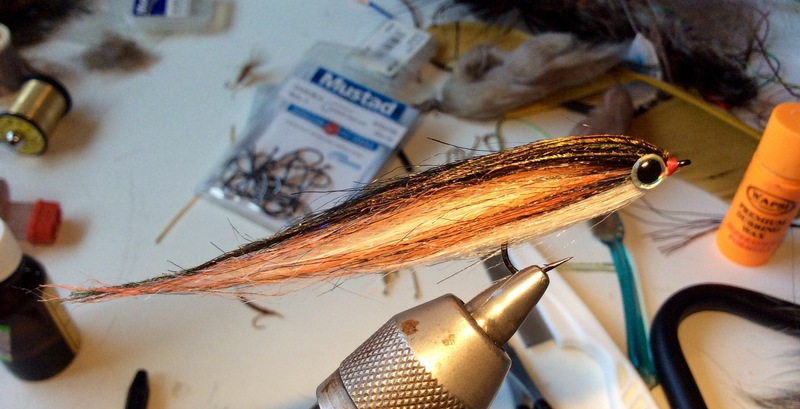 A famous nordic pattern for sea trout fishing. 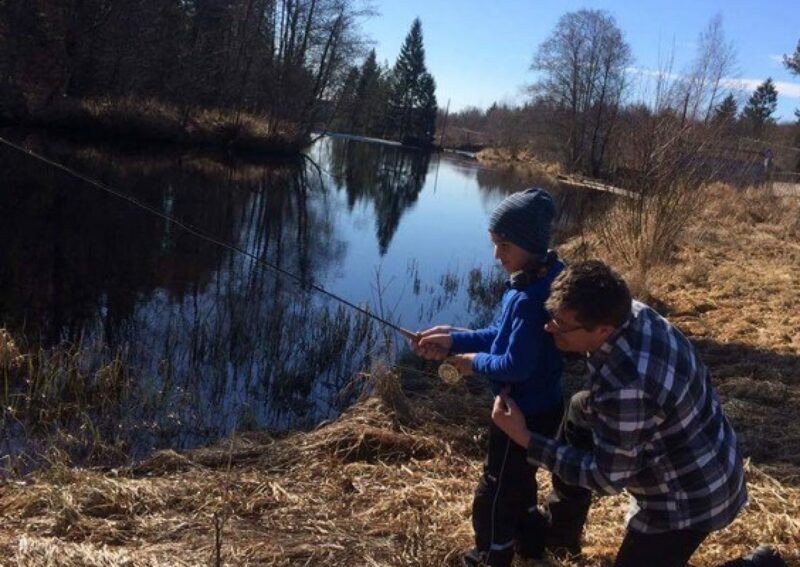 I went on the first fly fishing trip with the kid on sunday. The weather was very good and spring is taking hold. The kid is very interested and he wanted to try his own fly. He is just 6 years old,but a good learner. I rigged my Orvis Clearwater #3 because it’s a very light and easy to cast rod. 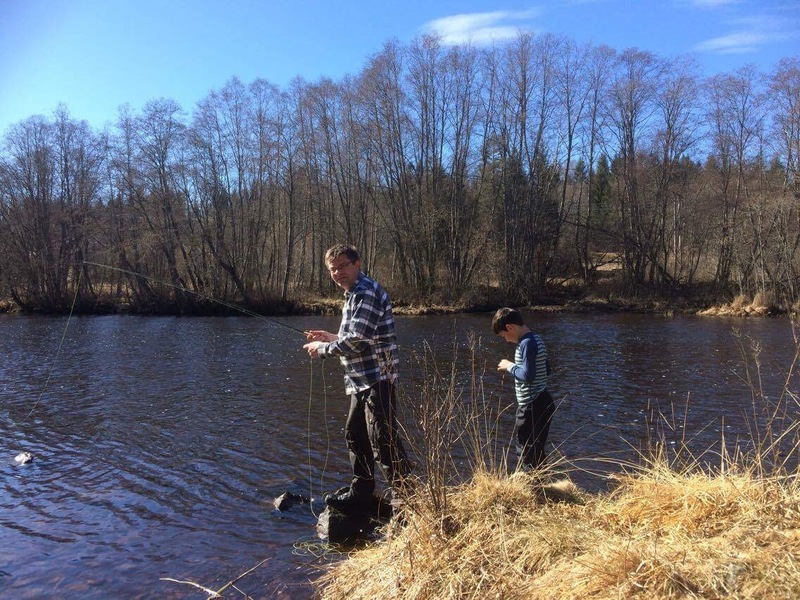 The water temperaturewas very low so we did not catch anything, but he tried his first casts. 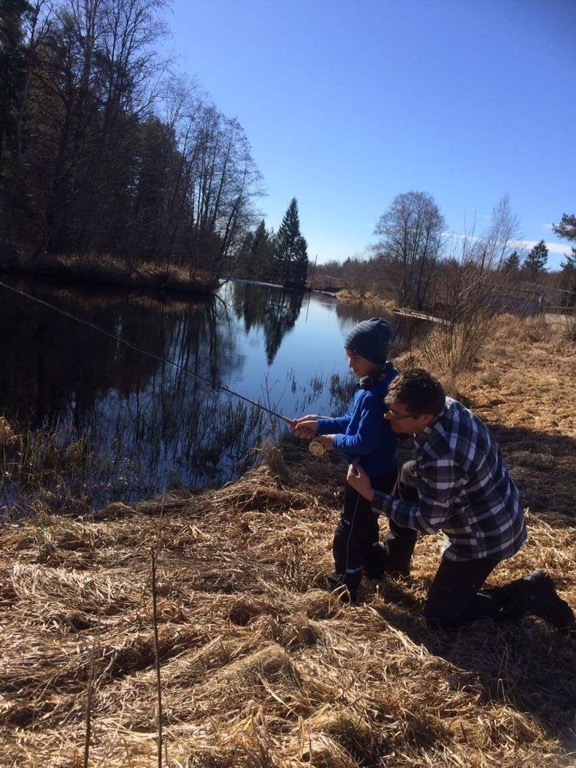 It is so great to teach children to like the outdoors and also very important. The trip was great and after a while he lost patience and started to focus on the hatching stone flies instead.